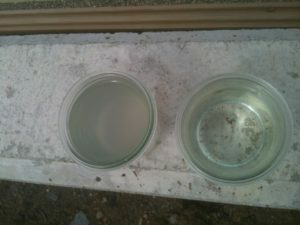 Avoid hose bans and protect your home from water shortages by treating and recycling your own Grey Water. The summer of 2018 will be remembered for the intense heat and the extended long dry period. Indeed likewise most of North America and Europe has been suffering from the same extended heat wave and drought. . The report from Paul Melia 11 th July 2018 in the Irish Independent summarises the impact of climate change in contributing to the intense heat in the northern hemisphere this summer. His report is headed “A month of global weather has shown why we must act now”. Yes, we all need to act now by providing new houses with a solution to reduce their water demand. 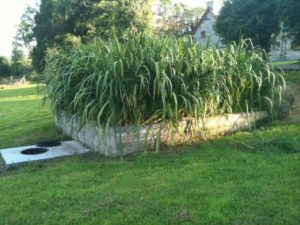 Constructing raised beds with Reeds and Yellow Flag Iris flowers may look pretty to look at, but they can be engineered to have another important function also; Grey Water treatment and recycling. 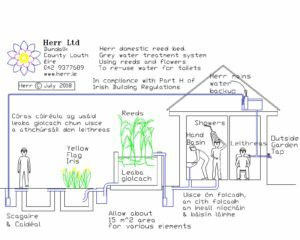 Unlike rain water harvesting – grey water reuse can happen even during periods of hose pipe bans or low water pressure. For a domestic house a total garden space of about 15 square meters is all that’s required for a typical domestic Grey Water reed bed treatment system. Reed beds are robust. By careful design, by proper sizing of beds and with proper garden maintenance, these systems will operate reliably for a long time. 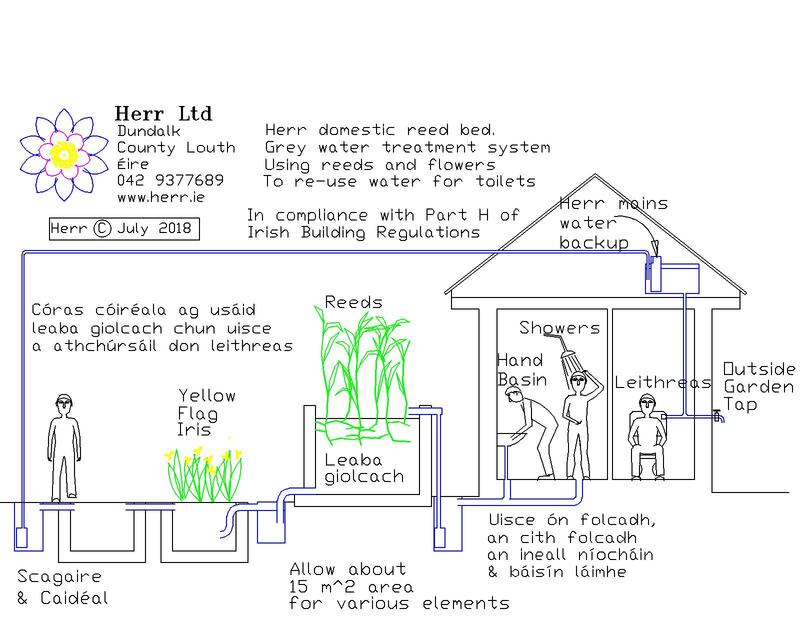 Having a reliably safe water supply from your own Grey Water Treatment System allows you the freedom to flush toilets and to water gardens during national hose bans or during periods when the water pressure is low or unreliable. For a while now the Irish EPA has been warning us that extremes of weather are more likely to occur with increasing levels of greenhouse gases in the atmosphere. The EPA prediction is that we may have more water shortages in summer particularly in the East. It looks like the prediction for future hot and dry summers is correct and will continue. relieving pressure of discharge from Urban Waste Water Treatment Plants into rivers with less water flow. Moreover, when compared to alternative sources of water supply such as desalination or water transfer, water reuse often turns out to require lower investment costs and energy, also contributing to reduce greenhouse gas emissions.” Indeed in the European Directive “Urban Waste Water Directive 91/271/eec” Article 12, 1 it states that “Treated waste water shall be reused whenever appropriate”. Is this prolonged hot dry summer and drought not the “appropriate” justification we need to treat and recycle domestic waste water? There is no doubt that continuous droughts will force us to recycle water and it will therefore become a dominant feature of the water treatment industry over the coming decades. consider for your new house.